Be still my thumping love-all-things-French heart. 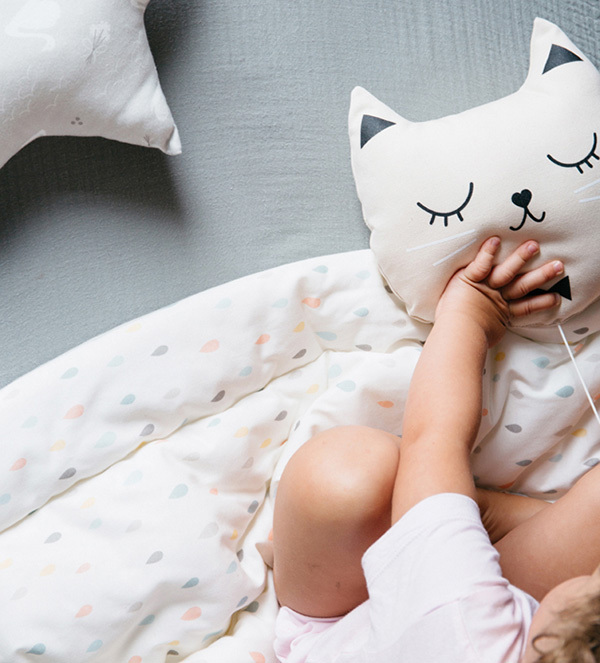 French label Zu is set to launch a brilliant linen collection that we’re sure will have hearts aflutter and have you cooing oui s’il vous plaît at first glimpse! Stunning soft toned prints – think coloured raindrops and white swans on dove grey – proudly displayed in this linen collection, is designed in-house by the talent that is Zu. 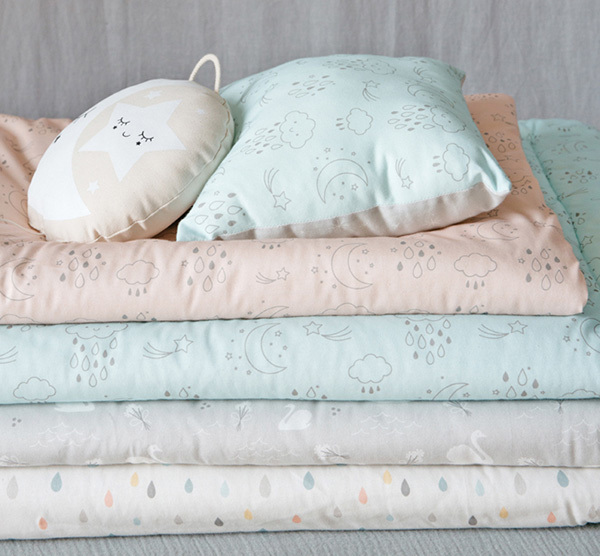 Made in France from start to finish, this collection is soft and serene with just the right dose of quirky, perfect for contemporary nurseries and bedrooms. There’s nothing this crew hasn’t thought of in kitting out your child’s space with manchester. Choose from large (90cm x 130cm, €98) or small (65cm x 90cm, €68) quilts that can perform double time as a very handy play mat, showcasing Zu’s exclusive prints beautifully. 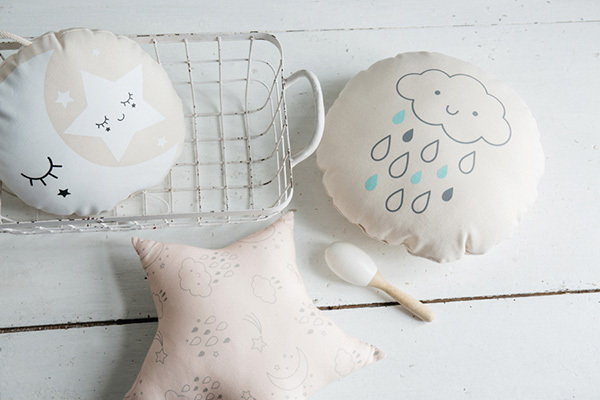 For finishing touches and extra padding in a nursing chair or a reading nook, Zu has a plump pile of deliciously cute cushions on offer including stars and rain clouds (from €30) and a very clever cat musical cushion that plays Love Me Tender (€49). We know, we warned you, swoonworthy adorable. Keep your eyes peeled for when the new collection hits the shelves at Zu, which ships worldwide.